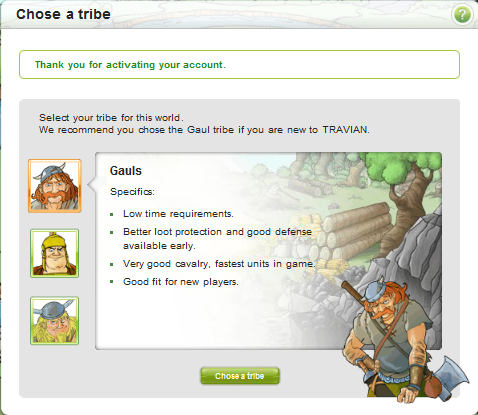 If you were familiar with the old registration the first thing you will notice is that you no longer choose your tribe and starting position at this point. 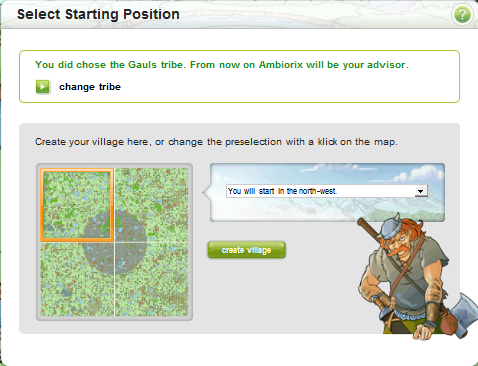 Instead you will choose your tribe and starting position when you first log in to your account. Once you have filled out the registration page and clicked on register you should be sent an email within minutes. This email will include your account details and information on how to activate your account. You can simply activate your account by clicking on the link supplied in the email. And that's it! Enjoy playing on your new account! 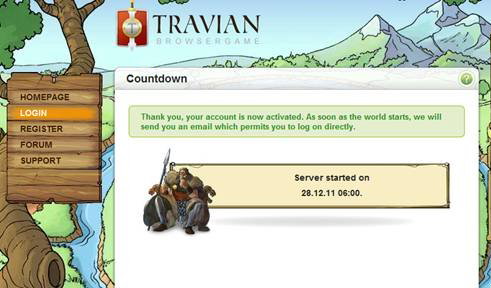 If the server has already started when you use the activation link for the first time you will be logged in straight away. If you try to log in to your account before the server has started you will be shown a page that will tell you when the server is going to start. If you happen to refresh the page when you are at the choose tribe/starting position page the first time you log in to your account, you will receive an error and will need to log back in to your account through the login page to get back to the tribe and starting position selection.